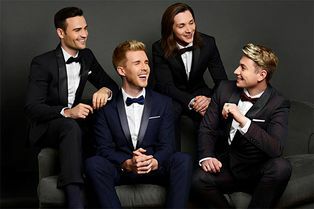 Following a huge UK sold out tour this year, Britain’s Got Talent winners Collabro have announced dates for their third nationwide tour. Performing across some of the UK’s major cities, the twenty nine-date run will include a return to the London Palladium. Collabro is not available to book, please sign up to our newsletter for updates and offers on forthcoming and available shows.